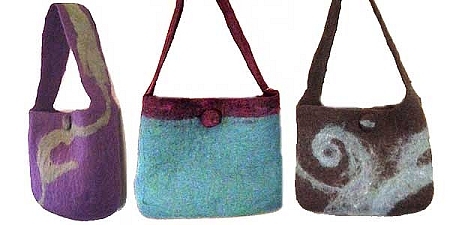 Needle Felting a Purse DOWNLOAD ONLY. 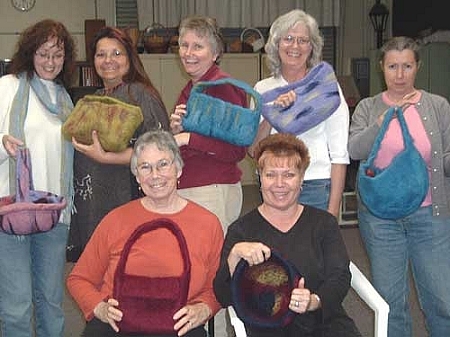 This wonderful process for needle felting over a foam form was discovered by Suzanne Higgs, and we have made a lot of purses this way!We love it because it is so easy to do, and there are many options for creating different styles and shapes. 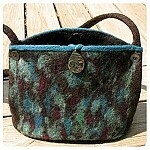 This kit will show you how to needle felt the basic purse and handles, and how to wet felt it for durability. 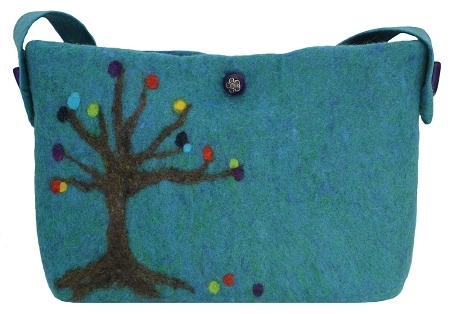 You can add your own design by needle felting, stitching or sewing on adornments! We loved her purse so much that we just had to share it with you! 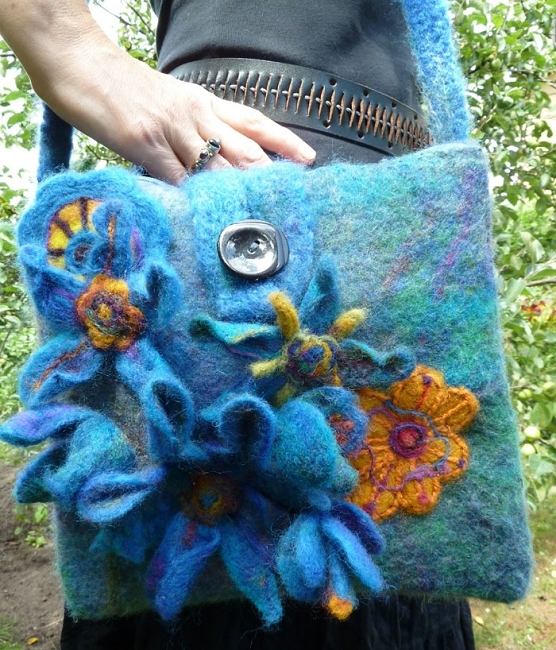 "I finally finished my first handbag, all LIVING FELT wool! Yippee! I used the purse kit that I purchased from you but made a few changes along the way. I loved needling around the form and used all of it for the body of the bag. Then I wet felted the bag as well. I didn't have any purse findings, so I attached my shoulder strap (needled and wet felted so that you could tow a boat with it!) with some shell buttons back and front. The pendant is paua shell. 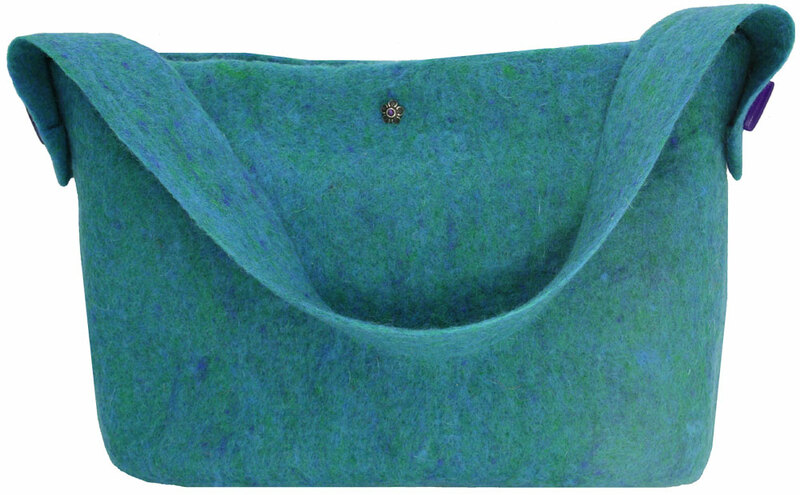 The bag body is your cocoa brown, the piping around the top is peacock, and the colors on the bag front are peacock, sea green, a little emerald and touches of garnet. In person they are glorious! I left the bag open for the picture, but it closes with a magnetic catch. I'm thrilled!! I LOVE your wool! !